VESA adapter bracket for 17"-37" monitors and TVs. 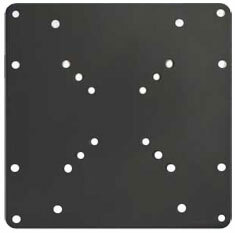 Compatible with 50x50,75x75,100x100,200x100,200x200 VESA mounts up to 30kgs. All screws and mounting hardware included.